Hawkguy! Hawkeye was my first favorite Avenger (thank you bonkers 90’s Avengers video game! ), and in many ways remains one of the best (and certainly the most fashionable in purple). One of my favorite aspects of Hawkeye is how the character grows as a hero, and as an Avenger through Marvel history. After starting as a confused, petty criminal (teaming with Black Widow will do that to a guy), Hawkeye progressed from angry anti-authority Avenger, to regular member of the team, to ultimately leading his own crew out on the West Coast. In more recent years, Clint Barton has also showcased his leadership (Secret Avengers), and his unexpected ability to carry an all-time great Marvel series (during the Matt Fraction and David Aja Marvel NOW! run). In perhaps a testament to the power of the moniker, Kate Bishop has also become the most interesting Young Avenger, dodging the “kid-name” self-sabotage and simply claiming the mantle of Hawkeye for herself in the aftermath of Avengers Disassembled. Whether you’re here for the history of Clint Barton, or the ongoing saga of Kate Bishop, below will list the complete chronology of Hawkeye throughout the Marvel Universe. Tales of Suspense #57 includes Hawkeye (and Black Widow’s) origins. 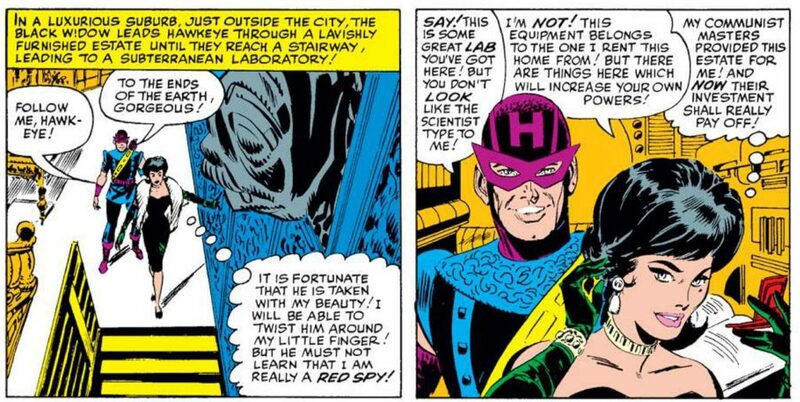 Hawkeye appears again in Tales of Suspense #60 and #64. 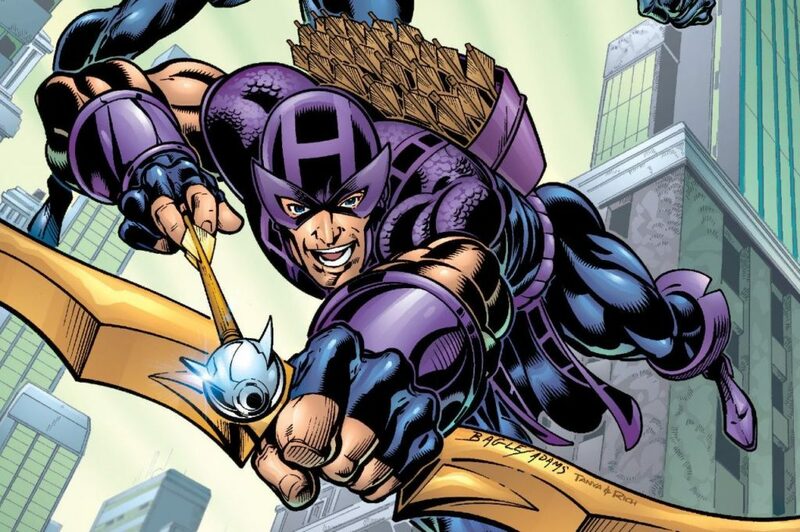 Hawkeye, the former criminal, tries out for an all-new Avengers roster. These are the earliest Hawkeye Avengers comics, and go a long way to explain the character’s progression as well as his unique relationship with Captain America. Avengers #39 is a particularly good Hawkeye story, as he looks into charges made against his former partner, the Black Widow. In Avengers #63 Clint Barton’s fashion takes a turn for the Goliath. Avengers #64 to #65 are particularly essential for Clint, and introduce his brother Barney Barton. Clint Barton continues his Goliath phase in one of the Avengers most epic space battles! The 70’s were a weird time. The Scarlet Witch shoots down Hawkeye (again), so he finally quits the Avengers! Hawkeye quite quickly joins the Defenders, teaming up with Dr. Strange, Sub-Mariner, Silver Surfer and Hulk during the Avengers / Defenders war. Hawkeye’s first solo miniseries is a crucial and fascinating look at what kinds of Hawkeye stories are possible. Hawkeye’s injuries suffered in this miniseries will play into many future stories, including the Fraction and Aja run! 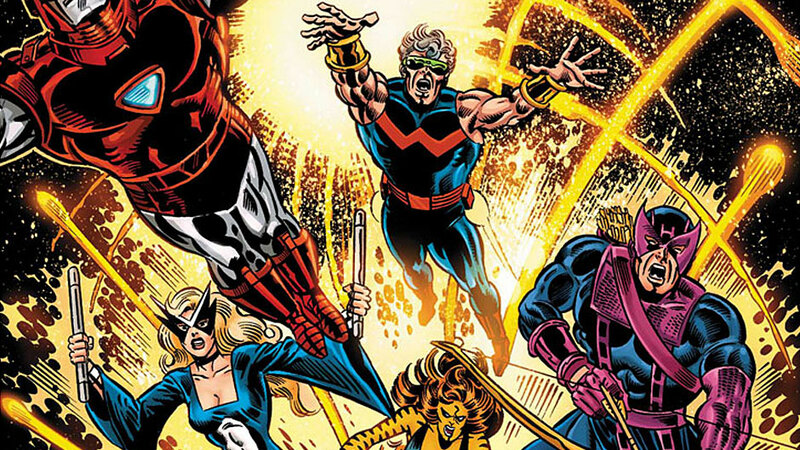 Hawkeye breaks West, assembling his own roster of Avengers in California. Clint really comes into his own as a leader here, flaws and all. As you’d expect from the trade title, this series has major lasting ramifications for Clint Barton and his relationship with Mockingbird. Hawkeye takes over the lead of the Thunderbolts during Kurt Busiek’s run on the title. It’s usually the Busiek and George Perez run on Avengers that gets most of the attention during this time period, but Hawkeye and The Thunderbolts is another nice example of Clint’s progression and showcasing his leadership. 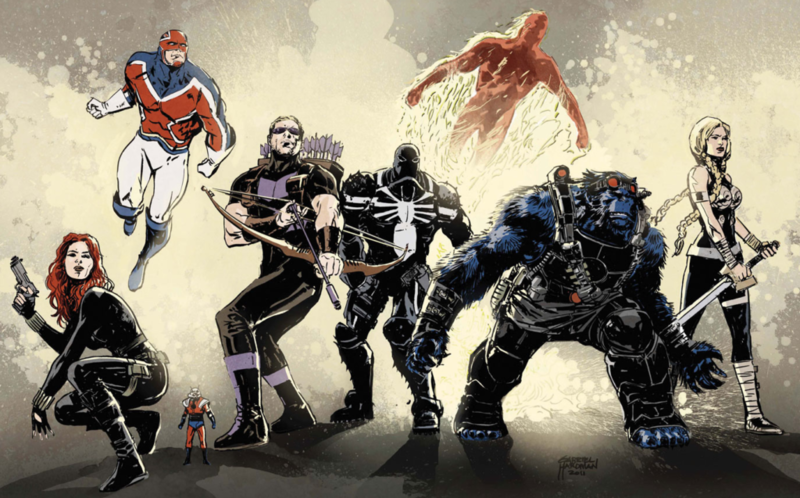 Marvel’s mega 2004 event Disassembles Hawkeye alongside the rest of the Avengers. The Hawkeye scenes that give me goosebumps every time. Kate Bishop’s first appearance in the Marvel Universe, taking on the mantle of Hawkeye with the Young Avengers after Diasassembled. Hawkeye gets to play a very prominent role in this Marvel mega event where Magneto and the Mutants rule. If you want to explore tie-ins with Hawkeye during this time period, I recommend Comic Book Herald’s complete House of M reading order. The Young Avengers and Runaways crossover is one of my favorite Civil War tie-ins. As you’d expect, context for these issues can be found in Comic Book Herald’s complete Civil War reading order. New Avengers #26 marks a milestone for Clint Barton, who will be in and out of the pages of New Avengers by Brian Michael Bendis from this point through Dark Reign and Siege. Marvel’s Secret Invasion event sets the stage for future Hawkeye story arcs. Kate Bishop fans should pay attention in Comic Book Herald’s complete Secret Invasion reading order to the Secret Invasion: Runaways/Young Avengers crossover. 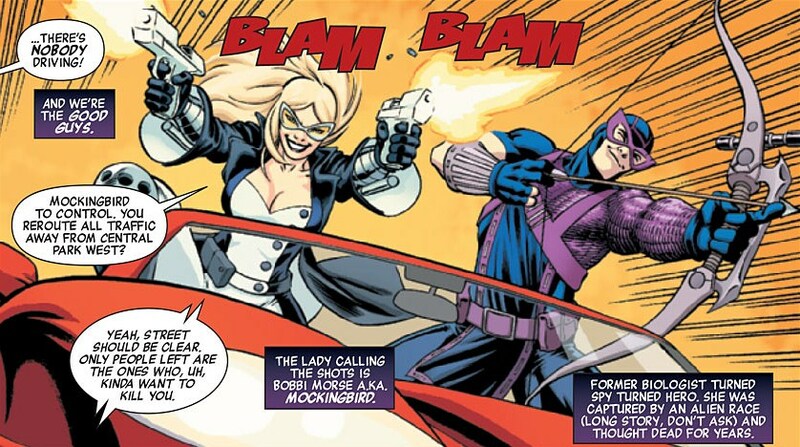 Hawkeye and Mockingbird reunite in the wake of Marvel’s Secret Invasion. Set during Comic Book Herald’s complete Dark Reign reading order. Clint makes some major waves throughout Dark Reign, as the conscience of the New Avengers. Although it occurs well in Marvel’s future, and obviously focuses on Wolverine, Old Man Logan features a strong supporting role from Old Man Clint. These issues, imperative to understanding the Spider-Woman and Hawkeye relationship, can be found contextually in Comic Book Herald’s Fear Itself reading order. Hawkeye joins the Avengers Academy as a teacher. Begins shortly before Marvel NOW!, tied in to Avengers Academy. Heavily tied into major Marvel continuity, and brings Kate Bishop and the Young Avengers back together. Start of the Matt Fraction and David Aja run, redefining both Hawkeye and Marvel Comics during the Marvel NOW! era. Highlights the relationship between Clint and Kate Bishop more than any previous series. I’d also note that although Kate and Clint appear in other comics series while Hawkeye is running, I’d recommend these #22 issues (and annual) prior to those other series. Breaking up the Fraction and Aja (and Annie Wu! and Francesco Francavilla!) Hawkeye to jump into Secret Avengers is unnecessary, and tonally non-compatible. This is a finalist for my favorite 11 issues in all of Marvel Comics. 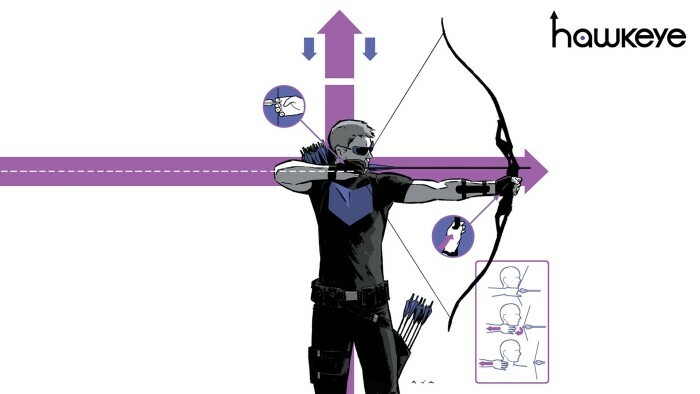 Starting with Hawkeye #12, and the third trade paperback, you have a couple options on how to read the Fraction Hawkeye run. Easy enough. This is how the issues where published, and how I read them, and personally I enjoyed this approach just fine. The alternate approach, as detailed in the trade paperbacks, is to split up the Kate Bishop and Clint Barton story arcs as they go into their own adventures. That’s why you see the odd and even issues broken up in the trades. This will absolutely work, but again, I kind of liked the alternating stories when I was collecting as it came out. As a final note, yes, Hawkeye #17 is included prior to issue #12 in the fourth trade. The Fraction and Aja Hawkeye Omnibus actually includes this issue after Hawkeye #6. Chronologically, I can understand this, but again, I like reading as it was published and just knowing you’re flashing back in time. There are also oblique references to events that happen after Hawkeye #6 in Hawkeye #17, so if you read it chronologically right after #6, you’re foreshadowing instead of reflecting events you’ve read. If you’re reading this all at once, say, via Marvel Unlimited, rather than on a severely delayed publication schedule, I really don’t think it’s confusing to read straight through. The Young Avengers and Kate Bishop together again at last, behind the creative excellence of Kieron Gillen and Jamie McKelvie. After Secret Avengers #16 above, the series reboots and renumbers so that we get a new #1 during the Ales Kot written run. Jeff Lemire and Ramon Perez faced the unenviable task of following Fraction and Aja with All-New Hawkeye. Hawkeye’s full, crucial involvement in Civil War II can be found in Comic Book Herald’s complete Civil War II reading order. By Kelly Thompson and Leonardo Romero. ‘Bout time. I loved Captain America and the Avengers for NES. Hawkeye was so awesome in that. I wonder how many other people only knew of him through those games. Nice to discover another Hawkeye fan! They seem to be hard to find! Personally, I think Bishop would do better to get he own codename and costume. She’s a strong character and she doesn’t need to ride Hawkeye’s coattails anymore, if she ever did. I’m all for the two keeping up their original father/daughter relationship, but she should get to spread her own wings and fly on her own. I kind of love that Kate just claimed Hawkeye, rather than “Kid Hawkeye” or “Lady Hawkeye” or any such fluff. And that Clint respects that she’s earned the moniker. That said, maybe she could branch out on her own easier with her own superhero name!